What's The Best Credit Card For Airline Miles? 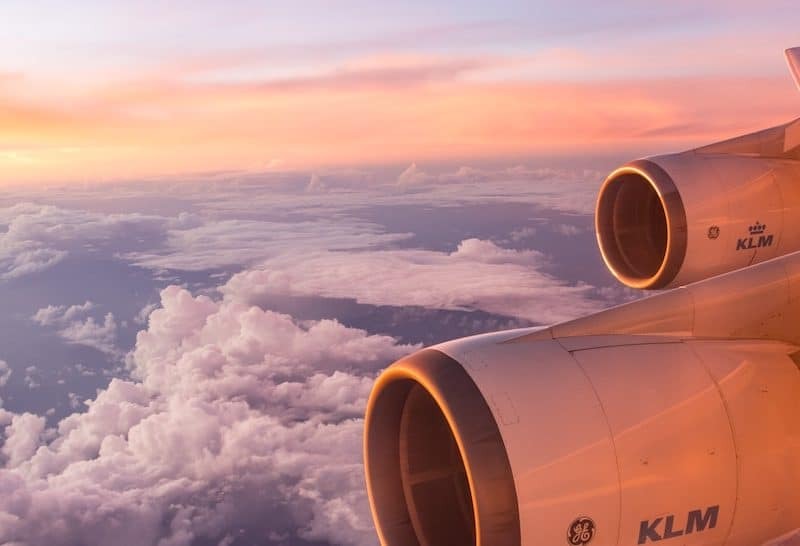 Whether it’s a first class business trip to meet a new client in a major business deal or a much-needed vacation to somewhere warm and sunny, travel is a common activity many choose and must engage in. If you’re an avid traveler, you may be looking for the best deals and savings opportunities you can get to use on your next trip. The rewards and benefits included in select credit cards can contribute to your travel plans in a money-saving way. With most airline and travel-focused credit cards, you’re able to earn points that you can redeem for many things, but especially for travel purposes whether that’s rental car usage or airline tickets. How do you know which card can get you, your family or your business the best rewards? Here we share five of the best credit cards that can get you serious travel opportunities for less. More miles come easier with a credit card specifically designed to get you the rewards you want. Enjoy earning two times the number of miles for every dollar you spend on every purchase, every day. And, when you book with options of thousands of hotels, you’ll earn ten times the miles so you can get where you want to go. In addition to the opportunity to plan your next trip easier, you’ll also enjoy other benefits with this card. As a new cardmember, you’ll earn an extra 50,000 bonus miles just for spending $3,000 in your first three months of having an account. Travel with ease as you avoid having to pay foreign transaction fees and have 24-hour travel assistant services to help you if your card is lost or stolen. You’ll also earn credit to use toward Global Entry or TSA Pre-check, just get reimbursed for your application fee when you apply to either travel service. Stay protected as you use your card with security and account alerts, fraud coverage and card lock to stay safe from unauthorized purchases. Manage your account easily with autopay services, balance transfers, monthly reports and adding authorized users to track who spends what. Racking up miles is easier with cards like these that allow you to earn miles by purchasing what you do everyday. Soar with savings as you book your flight with Delta and use rewards from this card for your business. Enjoy the benefits of this card as you earn two miles for every dollar you spend on purchases you make directly with Delta Airlines. For every other dollar you spend, earn one mile just like that. These miles can be redeemed for flights, seat upgrades, rentals, gift cards and much more. With such ease of earning rewards, you’ll be flying high class in no time. Get rewarded for your next business trip in more ways than just earning miles. With this card, you’ll enjoy several other benefits as you travel with priority boarding and a free checked bag. As a new cardmember, you’ll also earn an addition 30,000 miles once you spend just $1,000 and make a $50 statement credit after your purchase in your first three months of having your account. Feel at peace as you travel with security and protection services such as travel accident insurance and baggage insurance for lost, damage or stolen bags. As you drive and visit, you’ll get access to the roadside assistance hotline as well as car rental loss and damage insurance that can be helpful in a frustrating situation. As you keep track of your account activity, you can access helpful and extensive management tools such as Spend Manager and connections to QuickBooks so your financial information can be integrated easily. Know how and where your employees are spending resources through employee cards, viewing online statements, receiving account alerts of irregular activity and other apps so you can access your information wherever you are. Want to earn miles without the extra hassles of restrictions on choosing your flights? This Bank of America card allows you freedom as you redeem those rewards you earn. This card allows you to earn 1.5 points for every dollar you spend on any purchase. No need to follow specific categories or be limited in where you can earn your miles. Earn unlimited miles on what you buy everyday anyway. Gaining the miles you want is easy with rewards like these. Earning miles is simple and easy, but with this card, you can enjoy much more than that. Use your points when you want, how you want and where you want with the ability to redeem them for flights, hotels, cruises, baggage fees and rental cars. Gain freedom as you use your rewards with no limitations on what sites you can use or dates or other restrictions that prevent you from traveling how you want. As a new card member, you’ll also have the opportunity to earn 25,000 bonus miles by spending at leas $1,000 in your first 90 days of having your account. And, if you are already a Bank of America customer with a checking or savings account, you can also get a 10% customer bonus. As you travel internationally, don’t worry about paying foreign transaction fees and stay protected with fraud protection and account alerts. Keep your account safe and stay in-the-know with overdraft protection, chip cards and online shopping security that allows you to shop and earn rewards with confidence. Based on what kind of purchases you make, you can accumulate points fast with this American Express card from Wells Fargo. While earning one point for every dollar spent when you use this card, can help you rack up points easily, that’s just the start. When you use this card for your purchases in eating out, filling up your tank, ordering a rideshare service, book a flight or hotel, rent a car or stream one of the many popular services, you’ll earn three times the points for what you spend. With such accelerated opportunities to earn rewards, you’ll want to redeem those rewards for what can save you money. With the points you accumulate, use them for your many travel needs from flights to rental cars to gift cards to many others. As a new cardmember, you’ll get to earn a bonus 30,000 points for just spending $3,000 in your first three months of having your account. Saving up for a big trip? Use your rewards you’ve earned, as they never expire as long as your account is open and there’s no limit to the points you can earn. Book flights when you want to travel with no blackout dates on airfare. Use your card with confidence and as you travel with purchase and travel protections, luggage reimbursement, car rental insurance and extended warranty. Stay aware of your account with security features such as fraud monitoring, chip technology, cell phone protections and account alerts. Travel how and where you want with the benefits you can earn through this mastercard. Travel like an elite as you use this card and earn unlimited two times the miles on every purchase you make. Use the card to redeem rewards, you’ll earn an extra 5% of those miles back to use on your next trip you book with this card. As a new cardmember, you’ll enjoy a limited time offer of an extra 70,000 miles just for spending $5,000 in your first 90 days of having your account. You can use that credit to redeem for travel or cash back or other benefits. Plan your next trip how you want with no restrictions on what airline, seating selection or hotel choice you make. Earn rewards wherever you travel with miles that never expire as long as your account is set to go. In addition to getting help on your next trip, you’ll also be able to shop with confidence as you travel internationally with an international chip and PIN that keeps your account safe. You’ll also have access to $0 fraud liability protection that makes you not responsible for charges you don’t make and report. With this card, don’t pay foreign transaction fees on international purchases and spend your money on what really matters. Whether for business or pleasure, there are many ways you can save on your next trip, by land, sea or air. With the benefits offered through these cards, you can start earning rewards and redeeming them for that next trip of a lifetime.